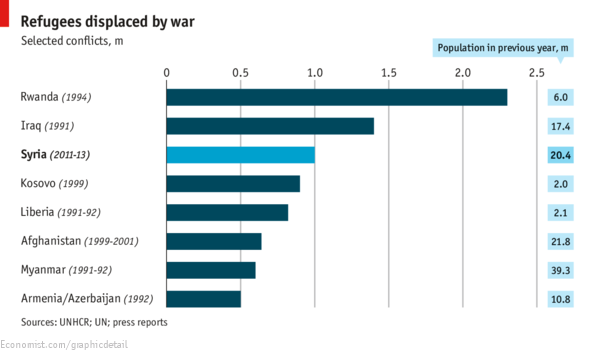 In case there was need to add further context regarding the gravity of the Syrian conflict. What stands out in the graph is the fact that the conflicts in Kosovo and Liberia displaced nearly half of the populations in both countries. Though the sheer number of refugees from the Rwandan genocide and the fact that it happened in a matter of months is quite stark as well.